The Dwarf olive is an attractive evergreen shrub that works beautifully as an accent shrub or foundation planting. It can be used in a variety of landscape settings, such as xeriscape or Mediterranean, where full sun is available. The Olea europaea can also handle intense radiant heat so it works well near pathways, streets, and driveways. While the standard European olive grows up to 30-feet tall, dwarf selections stay much smaller, typically under 6-feet tall. 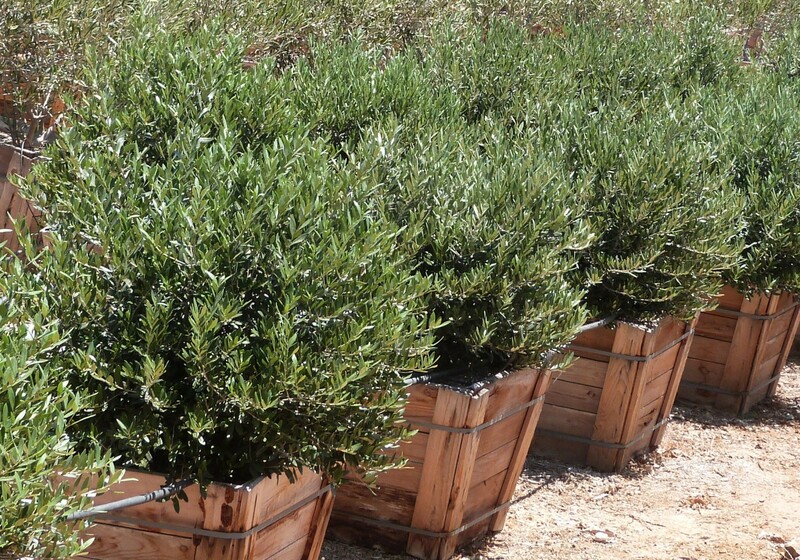 The dwarf olive’s compact size makes it versatile for smaller urban landscapes or even container plantings. Dwarf olive can be left to grow into its natural mounding growth habit, or it can shaped into topiaries or hedged for more formal gardens. The foliage is dark green with silvery undersides; leaves are also fragrant. Dwarf olive is sterile, so it will not flower or bear fruit. Dwarf olive thrives in rich well-draining soils, deals well with salinity and is very drought tolerant once established. This moderately slow growing shrub is typically disease and pest free and also deer resistant. Dwarf olive is very low-maintenance; it only needs occasional pruning to clean up dead or broken branches in the winter.